With its innovative shape, cutout heart details and small, sparkling stones that frame a radiant sky-blue crystal, this dazzling charm has a truly lavish expression. 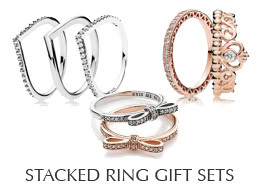 Combine it with the matching ring for a stunning set fit for even the most glamorous event. PANDORA Radiant Hearts Charm in sterling silver with 2 bead-set rose-cut sky-blue crystals, 48 bead-set clear cubic zirconias and cutout heart details.